​It’s another typical family dinner. I am sitting around a table of at least 10. Everyone is laughing, shouting, and exchanging jokes and stories over delicious food. But I may as well be eating alone. See, we are at my boyfriend Derek’s family home. Derek is Vietnamese, and while I will never turn down a meal that involves ​Vietnamese food, I can’t help but feel dispirited when everyone is speaking to one another in a language that I can’t understand. After one too many empty plates and missed jokes, I vowed to Derek that I would one day learn Vietnamese. Just a few weeks later, on my birthday, Derek surprised me with Rosetta Stone Vietnamese and told me to “put my money where my mouth is.” Challenge accepted. To this day I don’t think he ever expected what would come next, and to be honest, neither did I. 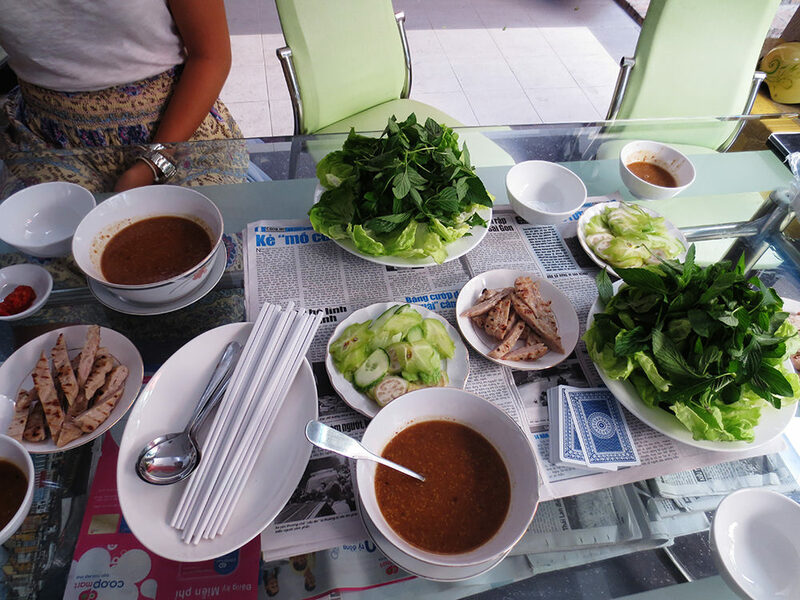 ​Munching on some traditional Vietnamese fare. ​At the time I was in Liverpool, England, filming a show called “House of Anubis.” On set we have lots of breaks and I started filling in those moments with my ​Vietnamese lessons. I was instantly hooked. Thirty minutes a day turned into hours and I found myself looking forward to every spare moment I had just to get a few more lessons in. 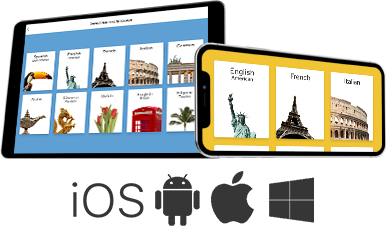 I loved how I could pop open the app whenever, wherever I was and start learning. If I was on set between takes and couldn’t make noise, I would do a reading or vocabulary lesson. When I was alone in my trailer between scenes, I would focus on my pronunciation. Derek came to visit again 6 weeks later and I hadn’t said a word about what I had been up to. I took him to a little Vietnamese restaurant I had started frequenting in Liverpool’s historic Chinatown. He nearly fell out of his chair when, out of the blue, I introduced him to my new friends and ordered our entire lunch . . . in Vietnamese! I kept my lessons up regularly over those next few months and by the time I came home I was speaking conversational Vietnamese. Not only was it so rewarding on a personal level to feel I had made such an accomplishment, but it was so exciting to go out, practice my new language, and surprise people. Looking at me, no one would expect that I would start blurting out Vietnamese, and that’s what made it so much fun. But this fun hobby I’d picked up became something life-changing when I went to Vietnam for my first time. I knew I wanted to go, there isn’t anywhere on earth I wouldn’t want to travel to, but I didn’t realize how much of an impact that trip would have on me and the person I am today. Being able to communicate with people in a foreign country in their own language turns a vacation into something so much more meaningful. It truly brings you out of being a tourist and suddenly you are a local. ​With my boyfriend, Derek, during our trip to Vietnam. Derek and I managed to squeeze in time while I was on hiatus from “House of Anubis.” I flew from Liverpool, he flew from LA, and we met in Vietnam. I was excited to see Derek, thrilled to have some time off, but more than anything, I couldn’t wait to practice my Vietnamese​​ in the motherland! I found myself wandering the streets of Saigon in search of the best bánh mì (a delicious Vietnamese baguette filled with pâté, deli meats, and pickled veggies) and drinking cà phê sữa đá with new friends at coffee shops in Hanoi. I even haggled my way down to a lower price for a painting I bought at Bến Thành Market! Me . . . haggling . . . in Vietnamese! I can’t even haggle back home in English! 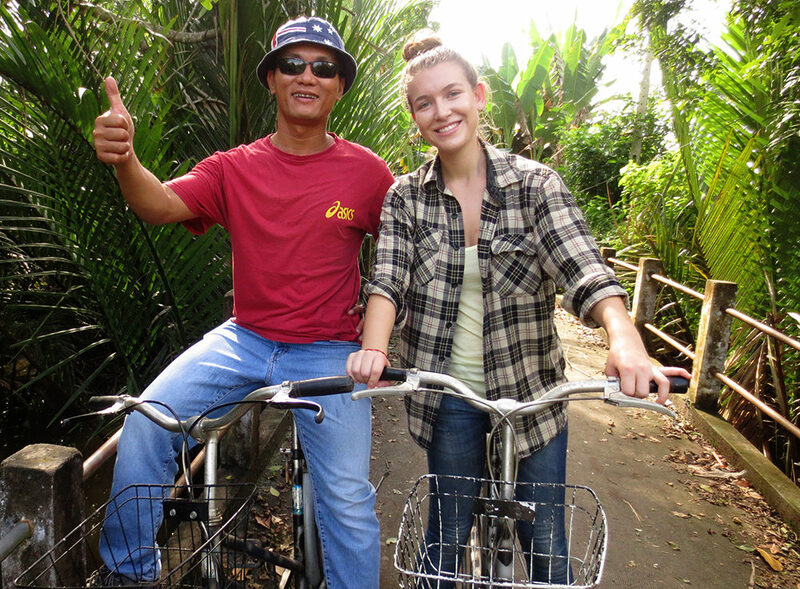 ​Biking with ​a tour guide in the Mekong Delta. ​But one experience shines above all the rest. I will never forget my trip to Cu-Chi tunnels, north of Ho Chi Minh City (still referred to by expats as Saigon). The Cu-Chi tunnels are a vast and highly sophisticated network of tunnels that the Viet Minh and later the Viet Cong built to infiltrate the South during the decades long wars. Today, the site is a popular tourist destination where visitors get the chance to walk through the tunnels and learn about what life was like for the millions of Northern soldiers during those long years. It’s a deeply emotional experience, especially for Americans, who have suffered their own traumas but have only been exposed to one side of this complex and brutal part in both American and Vietnamese history. When I was down in the tunnels, I no longer thought in terms of Northerner/Southerner, Vietnamese/American, or communist/capitalist. All I could think of was the horrors of war and the sacrifices people made to survive and fight for what they believe in. ​We had a long bus ride to get to the tunnels and I passed the time by striking up a conversation with our tour guide. Between his broken English and my conversational Vietnamese, we were able to connect on a much deeper level. He told me the story of his experience during the war, how he dreamed of being a doctor but the war got in the way and he had to leave medical school and serve. After the war he tried to escape three times, but was sent back again and again. At that stage I only had a few days left of vacation and, to be honest, I had been dreading going back to work. I was homesick, I missed my family, and I really didn’t want to go back to cloudy England. When I talked to him I realized how ungrateful I had been acting. Here was this man who, for reasons completely out of his control, was unable to follow his dreams. And here I was, fulfilling my passion, and yet I was complaining about petty things like the weather. At that moment I swore I would never forget this conversation. And I haven’t. 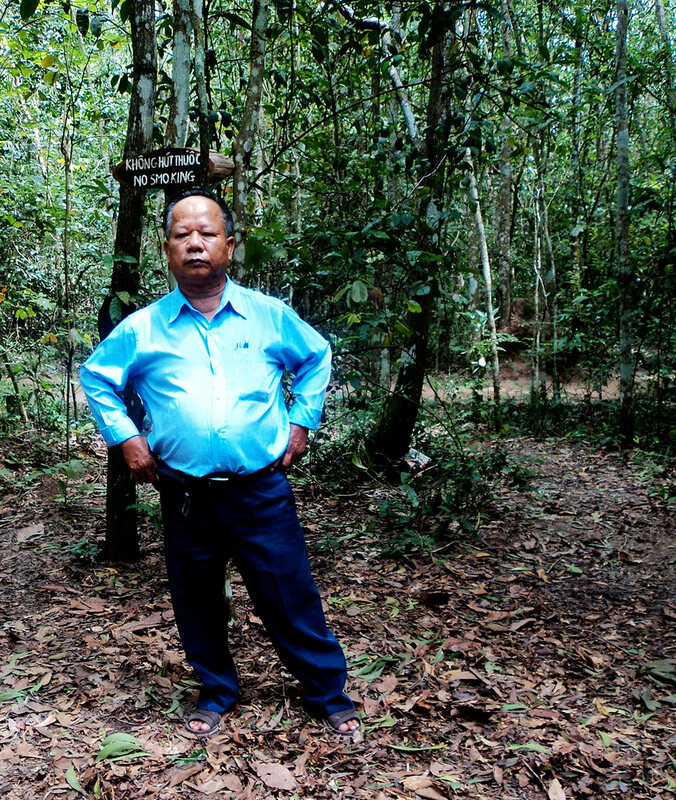 ​The Vietnamese man, whose story changed my life. I still have his photo on my windowsill. It’s moved with me everywhere I have lived, from Liverpool, to Los Angeles, to New York, to Bogotá​, and every time I look at that photo, I am reminded of that conversation and that time in Vietnam. It makes me think of all the people around the world who I have come across and never spent the time to get to know, or never been able to communicate with. He will probably never know how much he meant to me, but I am so grateful for the opportunity to have spoken with this man and for my time spent in beautiful Vietnam. Language really is the ultimate connector. 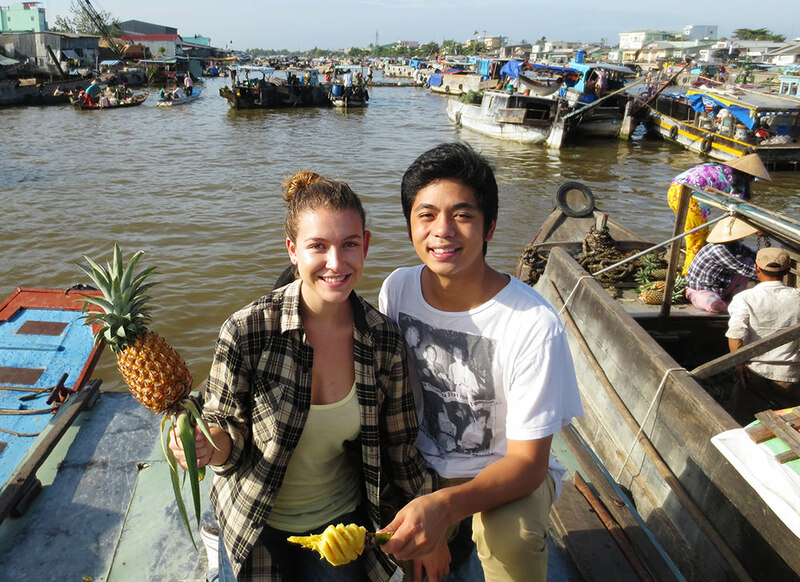 ​Explore Vietnamese and start speaking like a local today with Rosetta Stone.